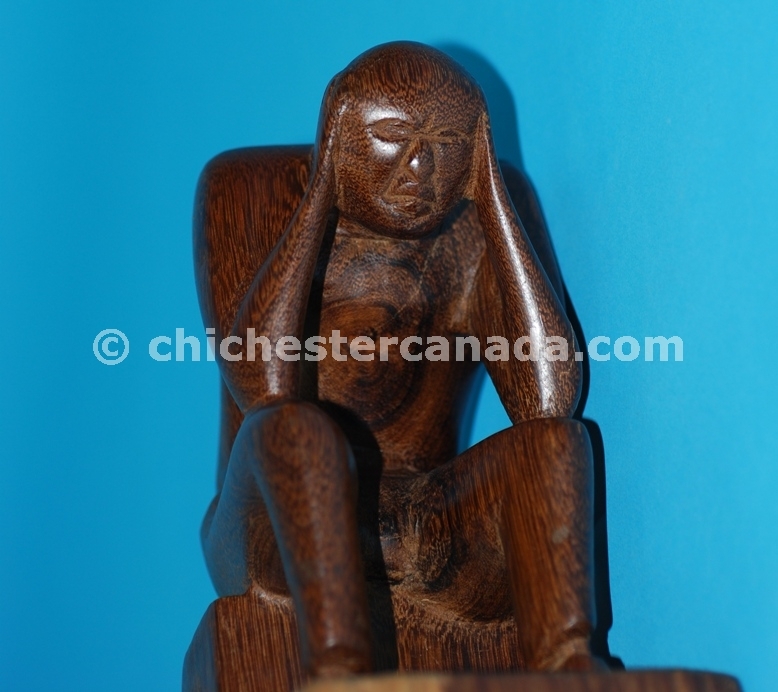 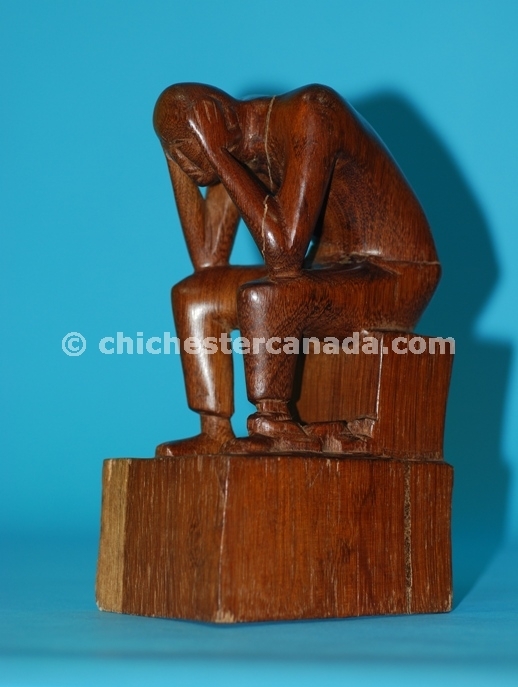 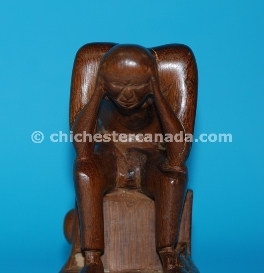 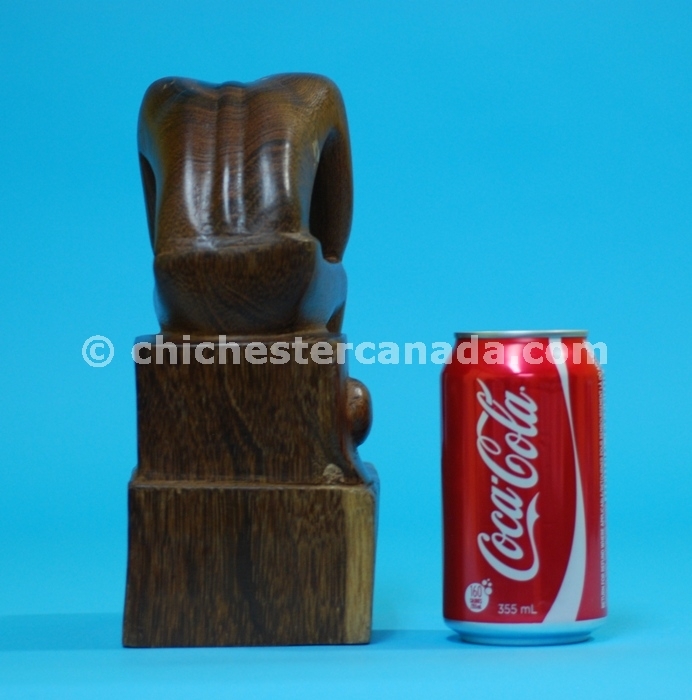 Carved from a single piece of wood, this Misery Man is from the French Guiana, near the border of Surinam. 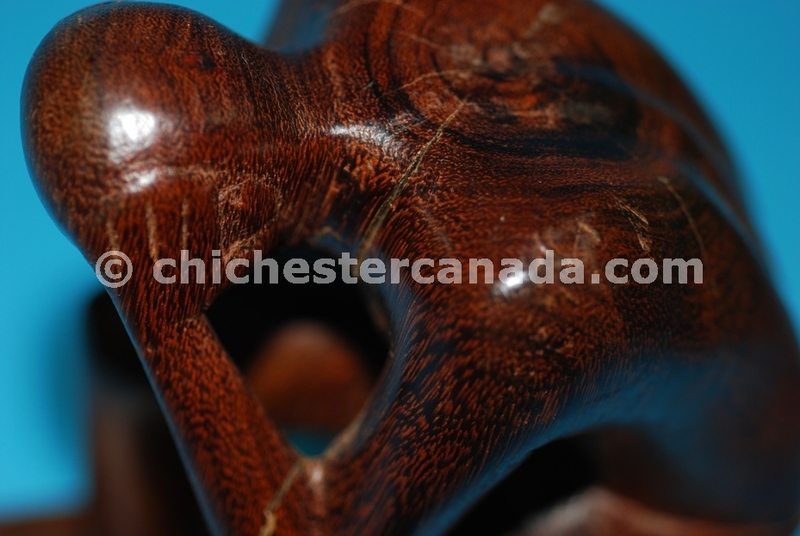 It was made by hand by Marons, descendents of escaped slaves. 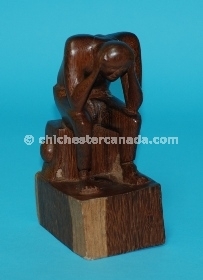 You get the exact one shown when ordering by number. We update our website nearly every day. If it is not marked as sold, it is most likely available. 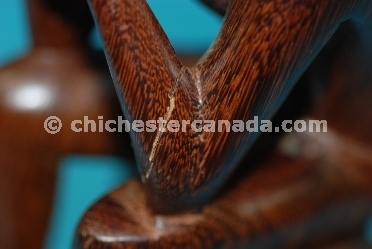 Note: There is some cracking in the wood. Our gallery photographs provide an accurate visual representation of this item.